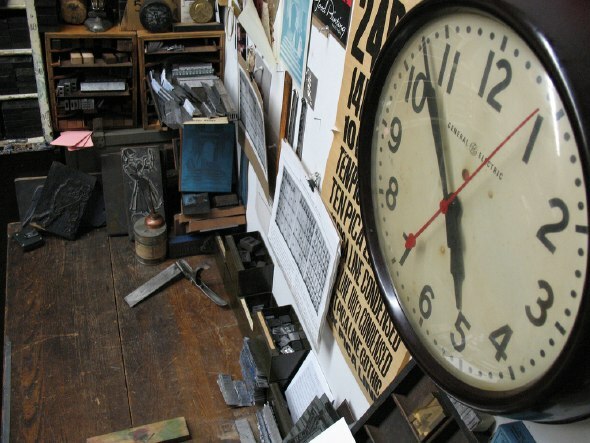 The Web site of Trip Print Press declares them to be "Practioners of the black art, letterpress." Some use the letterpress process purely for the nostalgia factor, but TPP works with it because of its practicality, beauty, economy and ease of work. "We do not wish to replicate dated typographical motifs, but to create distinctive and genuinely original printed work of all kinds." Nicholas Kennedy is the proprietor, head compositor and operator at Trip Print Press. I met Nicholas at Doors Open, when he was giving a letterpress demonstration at Coach House. Nicholas was clearly passionate about letterpress, and I left the demonstration wanting to learn more. And after browsing the wealth of info online, I realized that letterpress isn't a dying art after all ... it's just evolving. 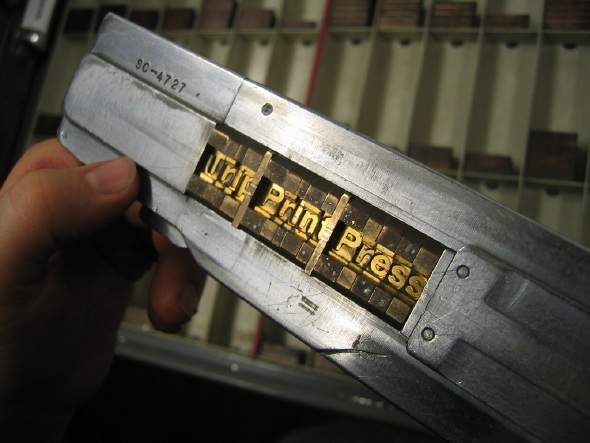 Do you own Trip Print Press? Where did you work before Trip Print Press? I own and operate all the equipment at TPP. All of which came from Don Black Linecasting or from local shops closing down. Before letterpress printing I worked a couple of unrelated jobs: I was a UPS courier, a clerk at a video rental shop, a dish washer. All the while my friends and I were a street art crew, in bands, railroad fanatics, snapshot photographers. 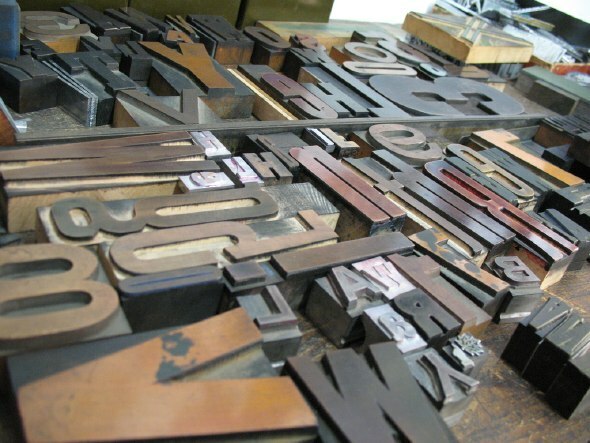 What appeals to you about letterpress? It's hard to pin down exactly. It keeps evolving. 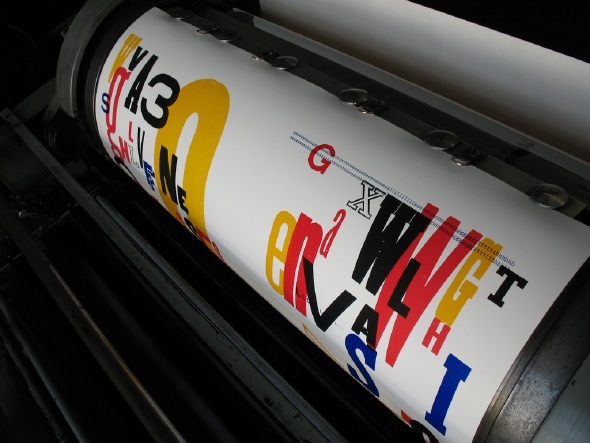 Ultimately, I am interested in the whole printing trade, regardless of process. The appealing thing about a trade is that you are always learning. The quest is to collect as much information about the trade as possible. This understanding makes one a better tradesperson. It adds to your ability to craft work. I am a sponge for graphic arts, at this point it's mostly in the analog / mechanical realm. Older technology is just as good and efficient as new technology. I enjoy making it work. Letterpress is user friendly. All my customers are artists: visual artists, musicians, film makers, photographers, writers. Mostly all local. I have one customer, Oakanagan Arts magazine, in British Columbia and a film producer in Montreal. I've done the odd international job, once for a record label in Austria and recently for Francis Ford Coppola in Napa. The customers who are responsible for the ongoing existence of TPP are institutions like the Music Gallery, show like Wavelength and amazing bands like Ohbijou. They have really embraced the shop's work and process. What's your favourite / least favourite typeface? I don't have a type that I love or loath. A typeface alone isn't ever good or bad, it's the typesetting that's good or bad. I see a lot of unfortunate typesetting. My current least favourite typesetting is an Ontario tourism ad in the train stations that read "THIS IS LIVING." It looks like they forgot to put any thought into the display lines, which is strange because there is no other type on the poster. There is really nice straight matter in the book I am currently reading: 'Buda's Wagon: A Brief History of the Car Bomb.' It's a pleasure to read with all the ligatures and beautiful spacing. No lakes or rivers, great type colour. The face is Bembo. Is there anything in particular you'd like to promote right now? People should really get me to print more posters. 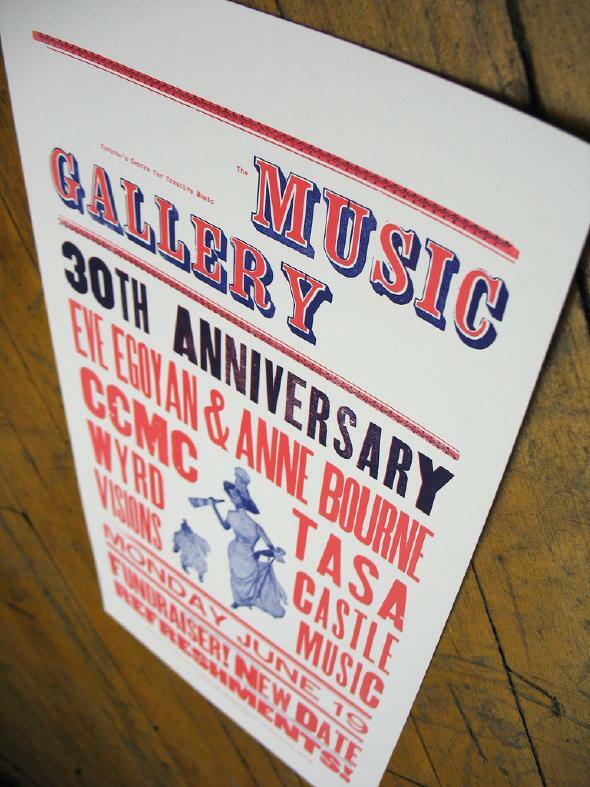 Every event or occasion will be improved with a poster even only as an historical document. They are the most fun work to do and there seems to be no call for them recently. Also, coasters. I just got a new press that can print them. I would love to go for a beer and have a coaster that had the establishment's name or something on there instead of the slick full colour brewery graphics. Coasters would make way better business cards too. As a matter of fact why print on anything other than coasters? Also, also, those folks who are interested in really good letterpress workshops at Trip Print should write me to get on my mailing list. I have only been doing them for school groups lately, but am working on some to be open to the public. Also x 3, check out my flickr photostream. I update it as often as possible. The Monkey's Paw is by far my favourite book shop. You can't not find something interesting in there. But a word of advice, if you see something you like, buy it right away because if you come back for it next week it will already be in someone else's library. I did this twice and still regret it. Diners with lunch counters: Patrician Grill, People's Foods, Victoria Restaurant, Stem, Mars, the Wexford. I eat at 'Yasi's Place' most days which is on Wallace Ave just across the tracks from my printing office. Her food is wonderful, it's made with love and prevents me from dying of scurvy. It also has a lunch counter. All photos in this post courtesy Nicholas Kennedy.